Budget fashonistas rejoice! 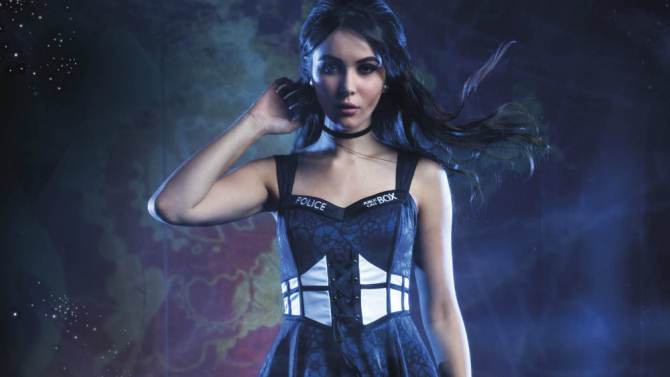 Hot Topic has just launched an exclusive, limited-edition "Doctor Who" line for women, and it is absolutely fantastic. The nine piece line features dresses, overcoats and cardigans that feature both subtle references to the series as well as nods to some iconic characters and visuals. Perfect for holiday parties, conventions and everyday wear, the Doctor Who line ranges from $48-90 and is available in stores and online now. Check out the new line in this video and let us know which Whovian piece you'd regenerate for!